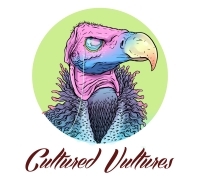 GeekSeek is Cultured Vultures' dive into the deepest parts of the web to bring you the very best in nerdy merch and gift ideas, as well as any of the great deals we find along the way. It's very much a work-in-progress, so bear with us! Here you will find plenty of deals on the last video games, weird merch that you know that you will buy and only use once, and about a thousands different porg plushies. Consumerism! Some of the coverage you find on GeekSeek may contains affiliate links, which may provide us with small commissions based on purchases made from visiting our site. £3.99 for one of the best FPS campaigns ever made? Sounds like a fair bargain. You can earn free V-Bucks with the Fortnite Fallen Love Ranger Challenge Pack, which is not a bad deal. These micro players for My Arcade could be a great option this Christmas. The VN47 BattleHawks Combat Drones might be a great little stocking filler for this Christmas. To celebrate the franchise's 25th anniversary, Bethesda and id are giving away a free skin for DOOM Eternal for when it drops next year. This is a weird timeline. Don't worry, intrepid shoppers and last-minute-panickers - we've got those tricky but vital issues covered with our book gift guide. What says relaxing after a hard day at work quite like lighting a candle that smells like rotting flesh?